Korzo is one of those great places that you should have discovered. 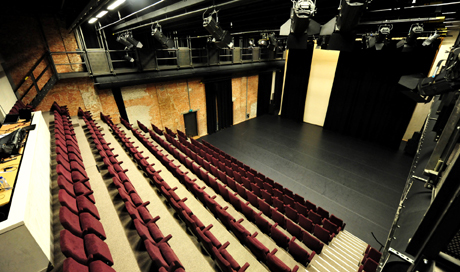 The theater is known as the most adventurous dance and music venue in the old city center of The Hague. But also for special forms of theater and contemporary circus can be found here. 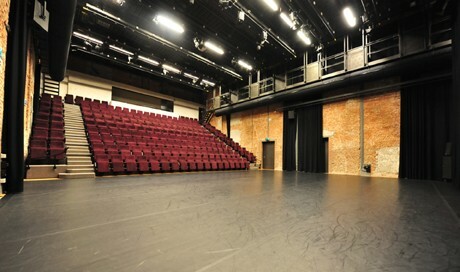 Korzo theater is also known as an adventurous platform for young talented artists. For more than thirty years Korzo is a leading home for music, dance and theater. Korzo has equally been one of the most important modern dance producers in the Netherlands. Always in combination with the names of young or leading choreographers and related initiatives that provide the Dutch dance. Korzo offers a home for young choreographers, where they can develop their talent, make plays and can present their works to the public.As artistic producer and cultural entrepreneur Korzo is an important link in the development of choreographers in the Netherlands. 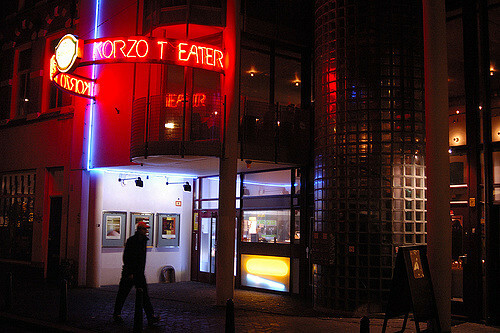 Korzo was founded in 1913 as a movie theater called Corso. Sixty-six years later, the theater was closed. Afterwards, the cinema building was empty for about four years until it was occupied by a group of artists and students. The former cinema Corzo in early 80’s was used as a dance theater Korzo. In the 90s it had a large and small hall, several rehearsal rooms and a lobby. Later the complex was extended with a former reformed church and a monumental office building at Nobelstraat. Korzo developed more and more a theater of dance to a production company for music and dance productions. It caused the need for more studio spaces for classes, workshops and rehearsals. And because the public power over the years greatly increased, the lobby and public facilities were no longer sufficient. In 2007, therefore started a major renovation which was completed in 2011. The program in the Korzo theater bring you close to the talents of today and tomorrow. Experience the great concerts, dance inspiring, exciting theater projects and innovative festivals. 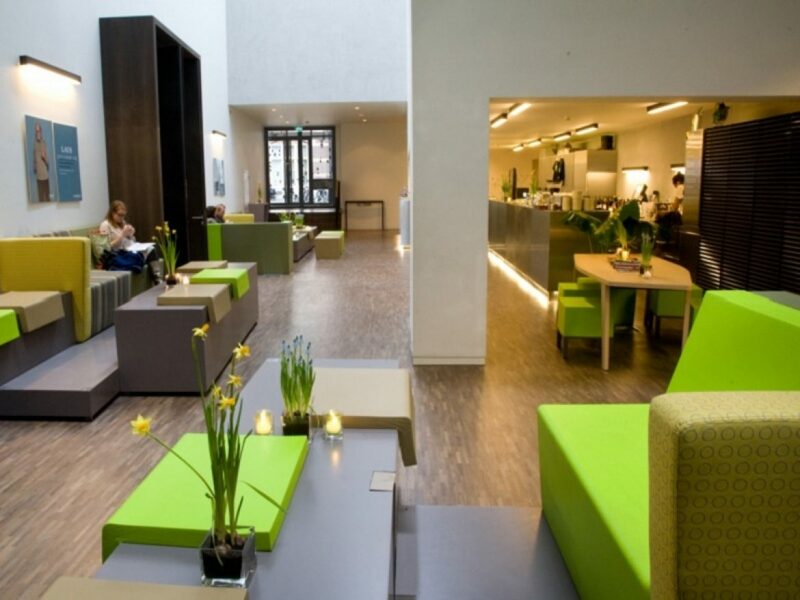 And above all, you can meet artists from all over the world in the relaxed atmosphere of the Korzo bar. Korzo theater will impress you. In a beautifully renovated theater with the latest technical support Korzo offers many possibilities. There are several rooms, each with its own character, which makes it ideal for all kinds of meetings, presentations, performances, concerts, conferences, seminars and get-togethers. Inspiration, dynamism, commitment, openness, diversity and meeting are very important in this theater.Now Korzo features three brand new rehearsal studios and three rooms with theater technical facilities. LAATSTE KANS! Vanavond de laatste kans op de gratis try-out bij te wonen van mimetheatergroep Bambie. In deze solo zoekt Paul van der Laan momenten op waar zijn waan het won van de werkelijkheid. En andersom. Korzo updated their cover photo. Vanavond wordt de Monday Movement Class gegeven door Rutkay Özpinar. Op dit moment is Rutkay bezig met een onderzoek voor zijn nieuwe voorstelling. Wanneer dat precies is verklappen we nog niet, maar hij keert terug naar zijn Turkse roots. Newly confirmed → @angeltheoracle joins us for a conversation on all that has inspired and influenced her along her path of music and spirituality at @Korzotheater on Saturday, 30 March. #MondayMorningUpdate 🎪Circus, circus deze week! Vanaf donderdag 21 maart barst Cirque Mania #7 los. Maar eerst de try-outs van mimetheatergroep Bambie's Paul van der Laan. Morgen en overmorgen: Unheard Music Festival @korzotheater muziek van Pawel Szymanski. What a pleasure it was to hear the awesome @crashensemble at @Korzotheater performing Andrew Hamilton, Mica Levi, Dennehy, Ligeti, Riley, Glass and Adámek. Mimetheatergroep Bambie presenteert de Try-out: Heen van Bambie (Paul van der Laan). Dinsdag 18, woensdag 19 en dinsdag 26 maart gratis te bezoeken in Korzo. Vandaag wordt de Monday Movement Class gegeven door Patricia van Deutekom! Patricia is speler bij Jens van Daele/Burning Bridges en staat aankomende woensdag in de voorstellinge Nachthexen II: La Parisienne. #MondayMorningUpdate 🎻 Héél veel muziek in Korzo deze week! Met speciale aandacht voor het Unheard Music Festival dat dit weekend begint.